Thames River Innovation Place, or TRIP, is a “regional incubator” for start-up projects and programs that support the regional economy. Thames River Innovation Place is looking for proposals to help increase entrepreneurship in southeastern Connecticut. Thames River Innovation Place (TRIP) in southeastern Connecticut is looking for innovators, creative types and those who are able to think outside the box to submit proposals to strengthen entrepreneurship in the region. RD-86 is one of those success stories. They got funding through TRIP in year one to help develop talent in the hospitality and food service industry and to enhance that culture in downtown New London. "A lot of these cities that I've lived in have transformed through hospitality. Restaurants, art, music and culture,” said Robert Ramsay, who co-owns RD86 and mentioned living in D.C. and New York. Ramsay wanted to architect something like that in New London, using the restaurant RD86 to develop restaurant and dining concepts through different experiences that include art, music and culture. Plus, it gives hands-on experience to staffers who one day want to be an owner or operator themselves. TRIP helped make that possible. It is a “regional incubator” for start-up projects and programs that support the regional economy. RD86 Will be submitting a proposal with TRIP again to expand to create a test space, so innovators have a space to test out their ideas, said co-owner and RD86 operator Hannah Gant. “Instead of just a traditional incubator program that helps people develop a business plan, we want to work with entrepreneurs to actually test their concepts, refine, get some data,” Gant said. Now going into year three, TRIP is looking for its next batch of proposals that get funding from CTNext’s Innovation Places Program. The project will have to match the money it receives. “Really look at the new economy, new idea, Sheridan said. 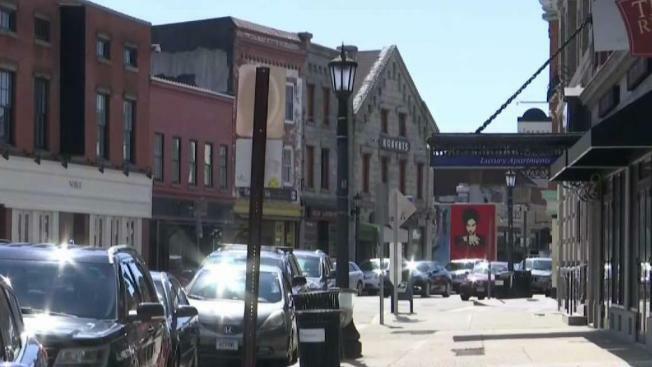 Sheridan, also president and CEO of the Chamber of Commerce of Eastern Connecticut, has his eye on downtown New London development and retaining talent in the entire region. TRIP helped the Chamber’s Community Concierge program develop a video highlighting the attractiveness of Eastern Connecticut and design a relocation guide. The creation is during a time when Electric Boat is on a hiring surge. TRIP also helped get the Naval & Maritime Consortium on its feet. It’s a network of companies that are part of the maritime business base and work to address challenges and collaborate on opportunities in that industry. The consortium partners with the University of Connecticut to help grow the maritime supply chain. "(Electric Boat has) communicated the need to grow their supply chain up to three times bigger than it is today. So there's a desire from state to help do so and a desire to keep as much of that business as local as possible,” said Ali Halvordson, the executive director of the consortium. Halvordson said they’re also working on gathering talent for potential offshore wind projects in New London at State Pier. The Naval & Maritime Consortium plans to continue with TRIP again for their third year. Selected proposed projects would on July 1, the start of TRIP’s third fiscal year. For more information about the proposal process or to submit a project, contact director@thamesriverinnovation.org. Proposals will need to be reviewed, approved and submitted to CTNext by April 30.